BOOK: Joanna Barsh and Susie Cranston "How Remarkable Women Lead"
Based on five years of proprietary research, “How Remarkable Women Lead” speaks to you as no other book has, with its hopeful outlook and unique ideas about success. It's the new "right stuff" of leadership, raising provocative issues such as whether feminine leadership traits (for women and men) are better suited for our fast-changing, hyper-competitive, and increasingly complex world. The authors, McKinsey & Company consultants Joanna Barsh and Susie Cranston, establish the links between joy, happiness, and distinctive performance with the groundbreaking model of Centered Leadership. 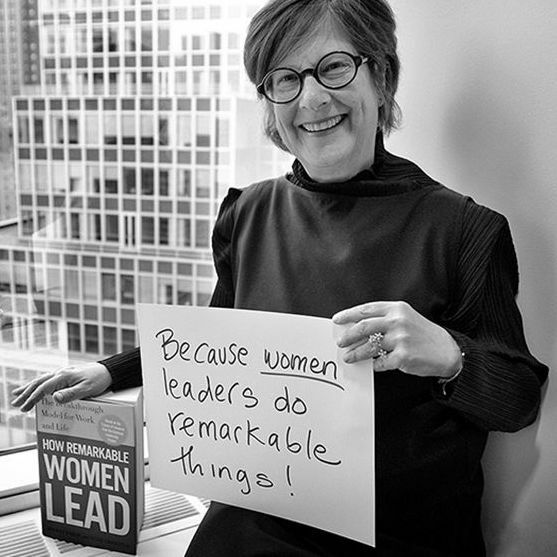 ”How Remarkable Women Lead” is both profoundly moving and actionable. Woman or man, you'll find yourself in its pages and emerge with a practical plan for breaking through at both work and in life.